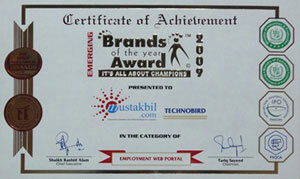 Started on October 07, 2004, Mustakbil.com is Pakistan's leading jobs site. It helps jobseekers in finding the jobs of their choice, while providing a unique platform for employers to advertise career opportunities and find valuable human resources for their organization. Mustakbil.com is known to be a reliable place to apply online for jobs, easy to use interface, fastest browsing experience and rich features set. That's the reason we are able to gain and maintain the trust of the users of our website. 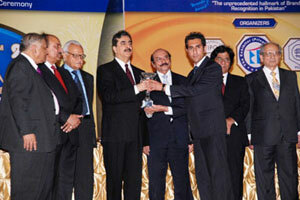 The contrubutions by Mustakbil.com and its brand value was acknowledged in a graceful ceremony held at Governor House, Karachi on May 7th, 2010 where Prime Minister Islamic Republic of Pakistan Syed Yousuf Raza Gilani conferred Emerging Brand of the Year Award to Mr. Naveed Ahmed, Founder & CEO Mustakbil.com. Mustakbil.com is a leading jobs site of Pakistan with over 65,000 employers and millions of active and engaged web users. High standards and special concerns about consumer's privacy entitled Mustakbil.com for the seal of certification by TRUSTe - world leader in consumer privacy protection. Due to its remarkable contribution towards the society, Foundation for Youth And Social Entrepreneurship (FYSE) selected Mustakbil.com under top 100 entrepreneurial projects in Asia. Mustakbil.com's development team is working for the continuous improvement of the website and new features are introduced periodically to give users a more enjoyable experience. Mustakbil.com is an online venture of TechnoBird - a Pakistan based IT services firm. Founded in 2002, TechnoBird a complete web solutions provider with its operations based in Pakistan comes to you with the message – put your business and services on the fast track of growth with the next generation tools of information technology.